A PERFECT COMBINATION OF COOKIES AND BROWNIES!!! 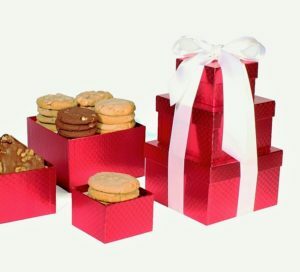 An ideal collection of 6 moist brownies and 16 cookies sent in our limited edition holiday boxes. 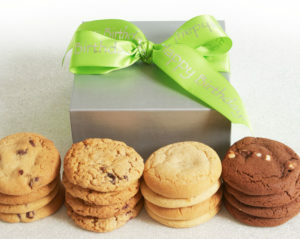 Includes your choice of one flavor of brownies and one cookie assortment. 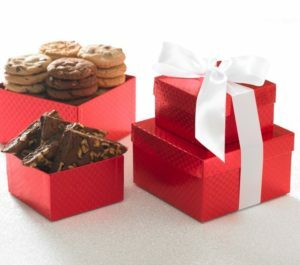 This gift of cookies and brownies has approximately 2.5 lbs of delicious goodies. 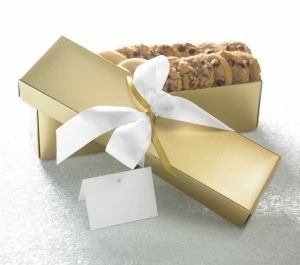 Includes your choice of one flavor of brownies and one cookie assortment. 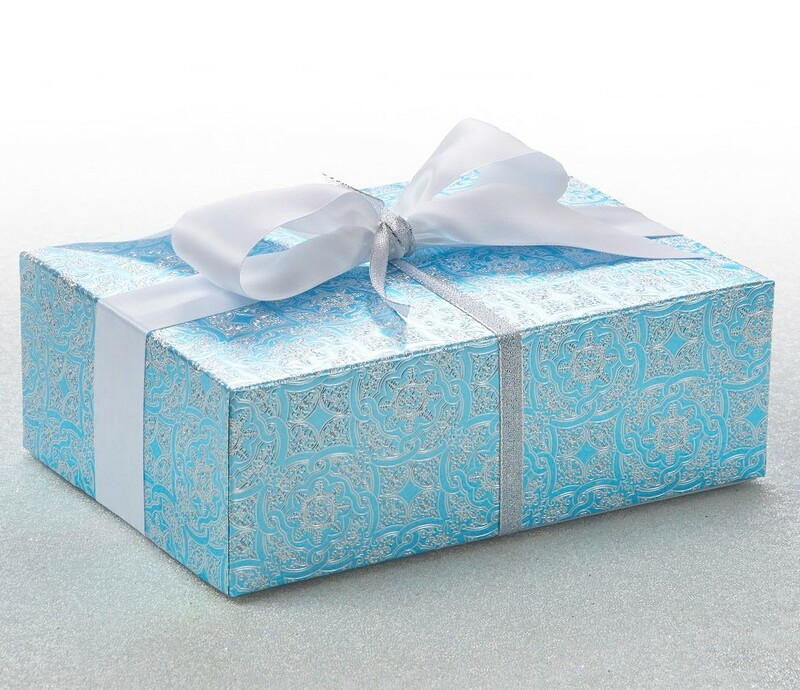 You may also include a gift card for no additional charge. All our cookies and brownies are made with sweet cream butter, whole fresh eggs, pure cane white or brown sugar and absolutely no preservatives. Each cookie weighs 1.5 oz and each brownie approximately weighs 2.6 oz.